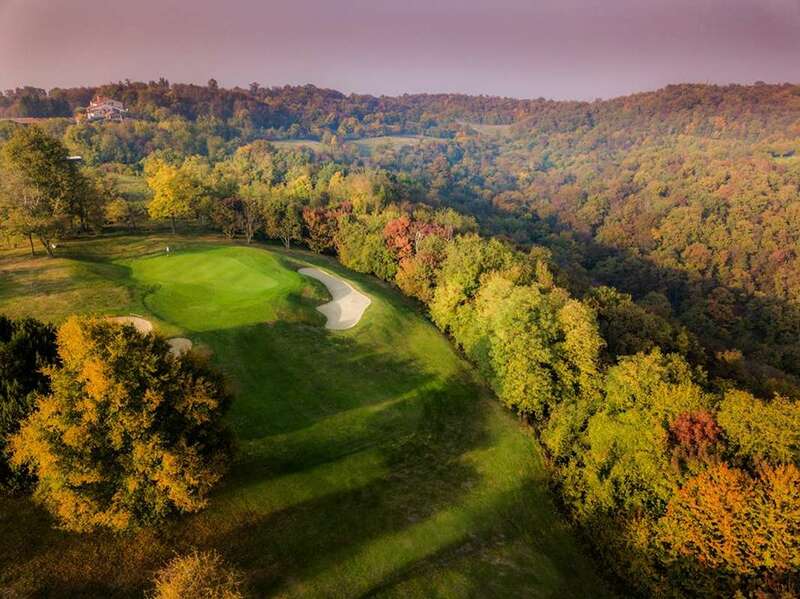 The Colli Berici Golf Club is situated in a privileged position, surrounded by the charming countryside of the Berici Hills but at the same time easily accessible with the Montecchio Maggiore motorway exit close by, at a short distance from the historic centre of Vicenza. 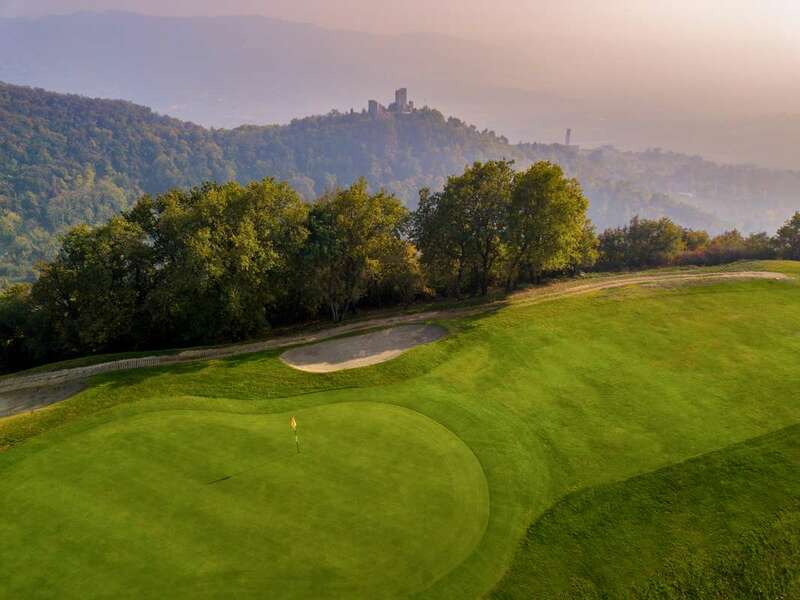 The 18-hole course, protected by the hills of Brendola and Altavilla townships, has an average altitude of 300 m. The first 9 holes, terraced to overlook the plain surrounding Vicenza, enjoy the splendid views of the Lessini Mountains and the Little Dolomites; the back nine, on the other hand, venture into dense, relaxing oak, hornbeam and chestnut woodland. The Club House, with its picture windows opening onto the terraces outside is a pleasant place for meeting and refreshment: golfers will find the spacious, comfortable public areas ideal for admiring the views and relaxing. The Club House has a bar and top class restaurant (listed in the Veronelli Guide), offering local specialities and an excellent wine list.